Photo: Muslims pray during Friday prayers at Hagley Park in Christchurch, New Zealand, Friday, March 22, 2019. People across New Zealand are observing the Muslim call to prayer as the nation reflects on the moment one week ago when 50 people were slaughtered at two mosques. 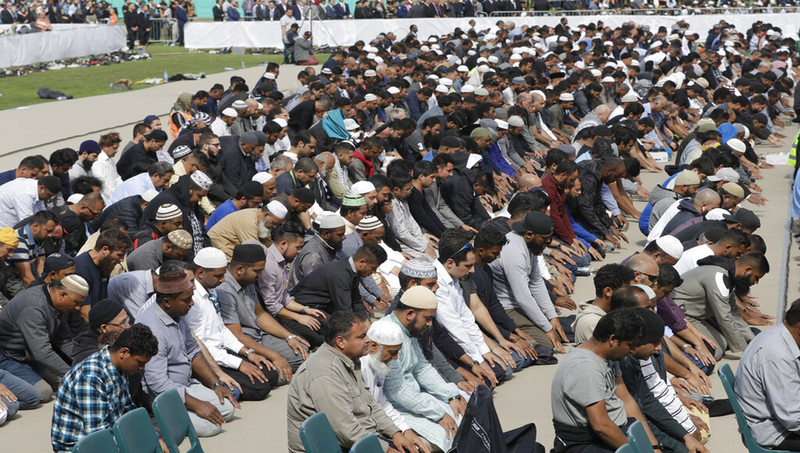 New Zealand, Mar 22 : Thousands of people have gathered for a mass funeral to bury 26 of the victims of the mosque attacks in Christchurch, New Zealand.